We’re back for the second part of our two-part Bigfoot Hunter strategy guide, but just to fill you in and remind you of what the game’s about, here’s a little backgrounder in case you missed it. 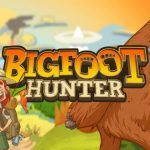 Bigfoot Hunter: A Camera Adventure Game is a new title by R2 Games USA, and this quirky game allows you to travel to different locations to snap as many animals as possible. These may include your favorite wild animals such as bears and deer, but may also include Sasquatch and other mythical creatures. And as you snap more photos of these animals and monsters and complete more levels, you’ll earn more coins. 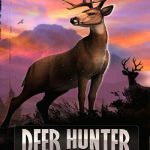 We’re going to leave it at that short and sweet description, so let’s kick off where we last left off and continue giving you some more Bigfoot Hunter cheats, tips and tricks. 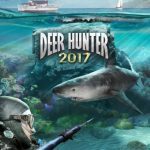 Bigfoot Hunter includes three power-ups, thankfully keeping it simple enough, even for first-time players. But the catch here is that you can only equip one at a time. You’ll also need to unlock them as you go along, so take note of these power-up descriptions once you’ve got all of them. This power-up catches all that’s on your screen, eliminating the need to have animals inside your camera’s reticle to count as part of the photo. In other words, all animals visible on your screen will be snapped if you use Camera Bomb. This power-up is best used in many situations, such as if you’ve got animals running or hopping all over the place, or if you’re trying to shoot animals who like to take cover. Use your radar in conjunction with this power-up for best results. This is similar to the burst feature on many phones’ cameras, as using this power-up allows you to take photos in quick succession. There are no reloads here, so this power-up is great to use if you want to capture a photo without any reloads. Still, pay attention to the blue bar on the top left part of your screen, as you’ll have to tap on it so you can reuse the power-up when it runs out. Lastly, Stun freezes creatures for a couple of seconds, thus making it easier for you to snap them for a successful capture. Stun works great against quick animals, such as the aforementioned Sasquatch, or any time that you’re dealing with multiple animals darting around the screen. It takes great timing to pull off a successful Stun, but if you use it correctly, this is a great way to help you bag a combo bonus. Want to add to the money you’ve already earned? You can do this by bagging combo bonuses, which take place when you take photos of two or more consecutive animals, or if you can get two animals in one photo. Don’t hesitate if you see multiple animals in your camera’s view, as that could earn you some nice rewards in the process! Challenge Levels are the purple-colored levels, and are a fantastic opportunity for you to earn additional coins. Some of these are time-based challenges that let you snap as many animals as possible within a given time, others are accuracy-based, meaning you’ve got to capture as many animals as possible with the limited shots you get. You can’t expect to tell people that Bigfoot/Sasquatch exists if you don’t have proof, right? You can show part of this proof, meaning the photos you’ve taken (may it be for Sasquatch or for animals) can be shown off at the Big Foot Museum. Your exhibits can earn you extra money that way; simply tap on the “Tap to View Exhibits” option and tap on the coin icons when they appear on your screen. Every few hours or so, you’ll also see a bag of coins, which you should definitely tap on for a ton of free coins. We suggest turning on your game notifications so Bigfoot Hunter can tell you when the bag of coins is available to claim. As an additional tip, the evidence items you gather in the levels can also earn you money via coin bonus. These items drop at random, but if you’re able to take perfect Sasquatch photos, or snap the beast quickly, the chances of getting new evidence items increases. It’s also a good idea to gather multiple examples of the same type of evidence for even better coin bonuses. You’ll have an easier time snapping animal photos if you upgrade the important parts of your camera. 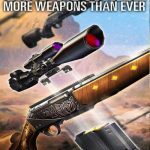 Tap on the Camera icon on your home screen, and you’ll see the possible upgrade points, namely Number of Shots, Shutter Speed, Reload Time, and Reticle Size. The latter would be the most important to upgrade and to max out, so you can improve your chances of capturing smaller creatures. Number of Shots comes next so you can take more photos before reloading; once the reloading screen appears, you’ve got no choice but to wait it out before your next photo session! Reload Time and Shutter Speed come next in that order, though if you don’t mind waiting in between sessions, you can always reverse that order. Of course, you can upgrade your existing camera, but you can also buy a new and better one. The Camera Shop has a host of options if you want to improve your gear, but as most of them can cost you tons of coins, you’ll need to check all of their stats and check all the categories before you make your purchase. Considering that Number of Shots was our second-most important upgrade in the above tip, we recommend cameras in the Monster Cams category, which hold lots of photos. As you need a vehicle – which will cost you coins – to unlock a new region, you can farm for coins by replaying previously completed levels and Challenges. You can also use Exhibits to raise funds for your next vehicle, or use Bigfoot Bait (for attracting Sasquatches) to get a Bigfoot level at random and allow you to capture more Sasquatch photos and gather more evidence.